Details: The Stage Par 64 employs 12 x red, 12 x green and 12 x blue 1 Watt LEDs to produce virtually any colour imaginable within the full visible spectrum. 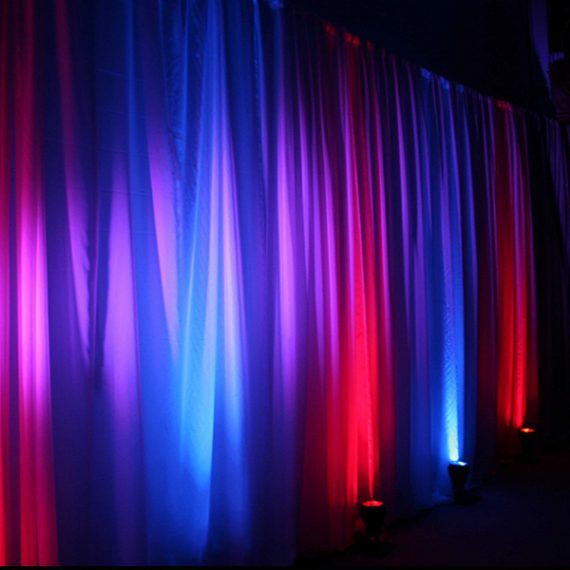 The Stage Par 64 employs 12 x red, 12 x green and 12 x blue 1 Watt LEDs to produce virtually any colour imaginable within the full visible spectrum for deep, mood-enhancing background lighting. A continuous range of colours and ultra-smooth colour scrolling can be achieved by varying the intensity of the LEDs from 0-100percent.